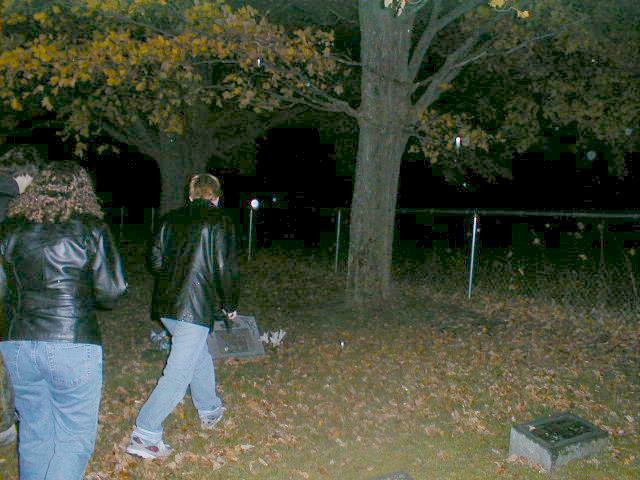 Jenny and Melinda check the graves for a friend's name, orbs. 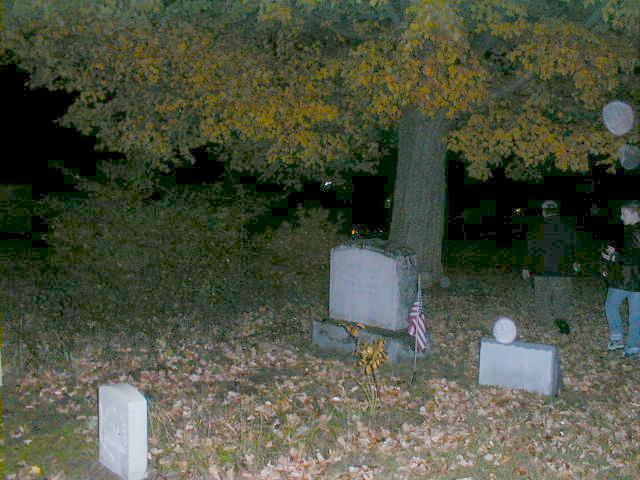 Jenny and Jeremy checking the stones, orbs. 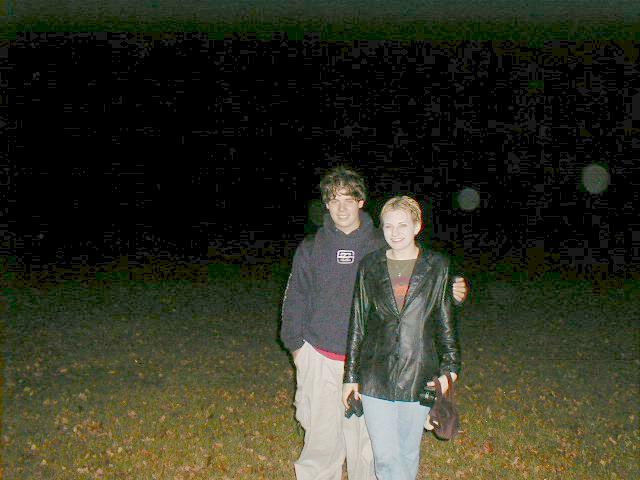 2 orbs pose with Jeremy and Jen. 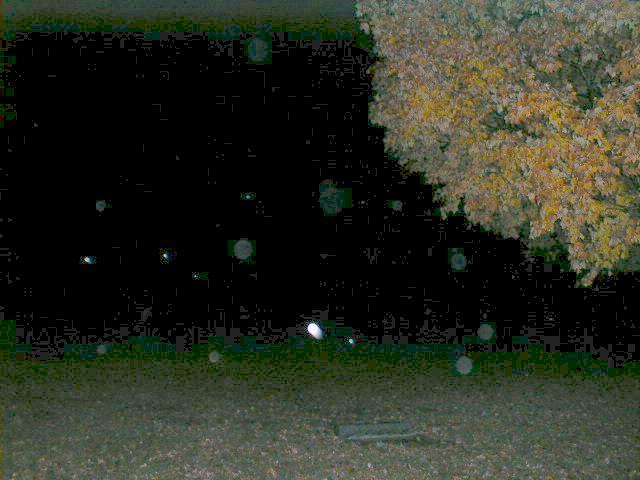 Lots of orbs among the raindrops. 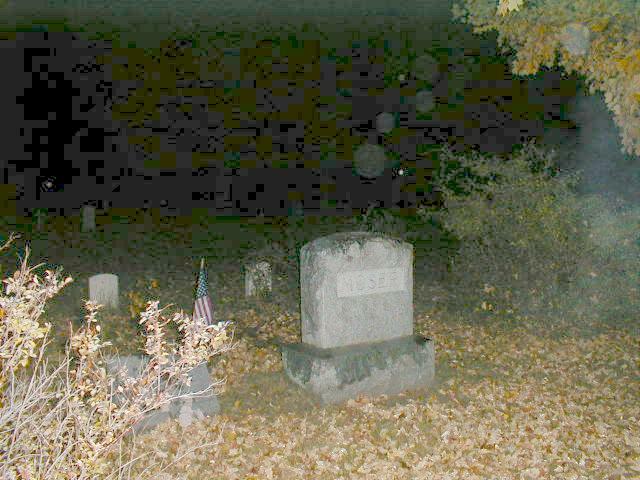 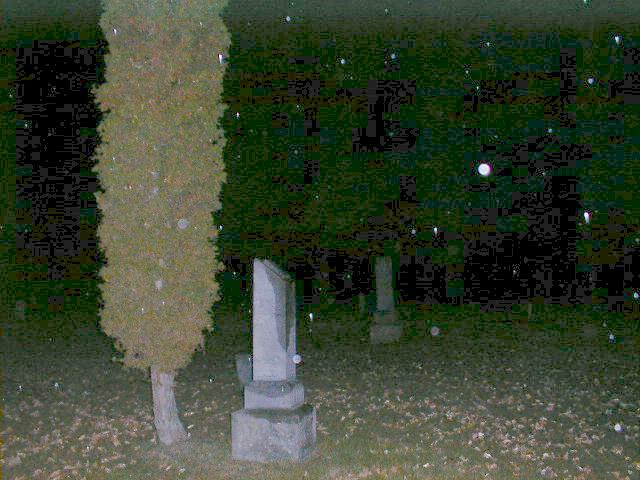 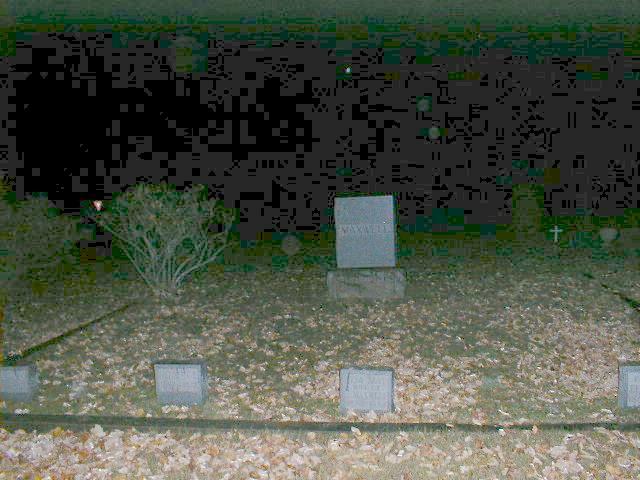 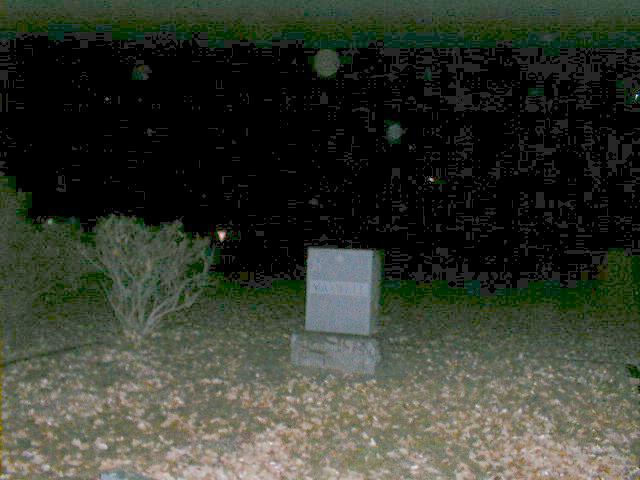 One last shot before getting in the car, orbs. 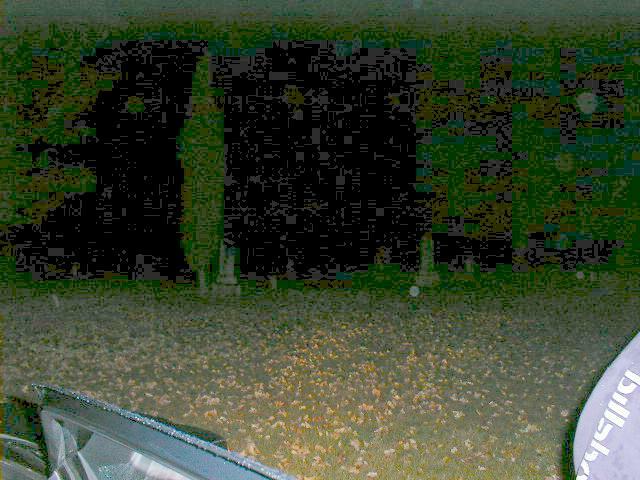 All photos on this page taken by Chris H.